Iran, Oct. 22, 2018 - Political prisoners in Urmia (Orumiyeh) Central Prison continued their hunger strike on Saturday, marking their fifth consecutive day of protests. These inmates launched their hunger strike on Monday, October 14th, protesting a vicious attack by the prison’s special guards units targeting ward 12 where political prisoners are held. These inmates issued a call to their families to hold a protest rally outside the facility on Sunday, to have their rights met and responses to the demands raised by all prisoners currently on hunger strike. These political prisoners have also called on all people in Iran’s Kurdistan and West Azerbaijan provinces to support their demands. Ten political prisoners held in ward 13 of Orumiyeh (Urmia) Central Prison in northwest Iran have joined the 60 other political prisoners in ward 12 who launched a hunger strike recently, reports indicate. Two political prisoners by the names of Hamid Rahimi and Kamran Darvishi, transferred to solitary confinement after being severely attacked and beaten, have also joined the hunger strike movement. As a result, the number of political prisoners on hunger strike in Orumiyeh (Urmia) Central Prison has reached 72 up to this day. The political prisoners are protesting a raid carried out by prison guards and special anti-riot units in this prison on Tuesday. On Monday, anti-riot units raided ward 12 of this prison where political prisoners are held, beating them severely and dragging many to solitary confinement. This attack took place after the prisoners were protesting the beating of another inmate and his transfer to incommunicado. On Tuesday, the prisoners began protesting this attack and launched a hunger strike, refusing to accept any food provided by the prison authorities. A number of the political prisoners suffered severe injuries. Kamal Hassan Ramezan suffered a broken nose; Ahmad Tamuie suffered broken teeth; Turaj Ismaeeli was deeply cut with a sharp object, and Hassan Rastegari suffered severe blows and bruises to various parts of his body. Obtained reports indicate the injured prisoners have not received any medical attention or been transferred to the prison clinic. On Tuesday and Wednesday, the senior prison officials were seen constantly commuting to Orumiyeh (Urmia) Central Prison and demanding the political prisoners end their hunger strike. Despite promising to follow up on their demands, political prisoners are not accepting the officials’ hollow promises and are demanding practical measures. The so-called judge supervising this prison has also summoned three inmates. These prisoners, however, have refused to see the judge and are saying they have nothing to discuss with him unless he comes to the ward and they can talk there.  Inmates in Orumiyeh (Urmia) Central Prison are deprived of basic medical care and as a result, three inmates have lost their lives in the past month alone. Following this recent attack, the Iranian opposition National Council of Resistance of Iran (NCRI) issued a statement calling on all international human rights organizations, including the United Nations High Commissioner for Human Rights, the Special Rapporteur for Human Rights in Iran and the Special Rapporteur on Torture to condemn the inhumane treatment of prisoners. The NCRI also called for an international probe into atrocious prison conditions in Iran, especially the conditions of political prisoners.